K. Aleisha Fetters wrote for Siver Sneakers in Trivity Health that you know a granola bar isn’t the most nutritious snack, but it’s a lot easier to eat on the go than an egg white omelet. Which begs the question: Can a packed schedule and a high-protein diet coexist? Yes, says Elizabeth Adler, R.D., a dietitian with Laura Cipullo Whole Nutrition Services in New York City. “Whole and minimally processed foods that are naturally high in protein are your best bets,” she says, adding that snacks with at least 10 to 15 grams of protein will keep your stomach content and your muscles fueled between meals. Another reason to reach for protein-filled snacks: Research published in the American Journal of Clinical Nutrition shows that older adults who spread their protein intake throughout the day (not just at mealtimes) have stronger, healthier muscles. Here are eight convenient snacks to help solve your active-body, active-life diet dilemma. 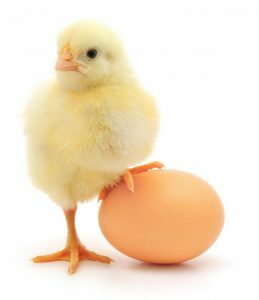 Eggs contain the most bioavailable form of protein there is. That means your body absorbs and uses the protein from eggs better than it does protein from any other food, says Atlanta-based sports dietitian Marie Spano, R.D. Each egg contains between 6 and 7 grams of protein, so a snack of two or three hard-boiled eggs is an easy way to meet your goals—and stay satisfied between meals. To eliminate the need to peel on the go, Spano recommends preparing your hard-boiled eggs in batches: Boil, peel, and then plop in an airtight container filled with water. Keeping the eggs covered in water will prevent them from drying out. They’ll be ready whenever you are. “If you’re a fish fan, adding tuna to a snack adds about 17 grams of protein, plus vitamin D and omega-3 fats,” Adler says. All three support overall health and weight loss efforts. Consider purchasing tuna in pouch form. Many brands now sell no-drain, easy-to-open pouches with flavors like lemon dill or chipotle. Some even come with a tiny fork, making it easier than ever to enjoy on the go. One cup of these little bright green pods delivers 15 grams of plant-based protein, making them ideal for anyone who follows a vegan or vegetarian diet. What’s more, edamame is a complete protein source, meaning it provides all nine essential amino acids your body needs. Buy them fresh and steam, or use the precooked frozen variety and briefly microwave to defrost before chowing down. Not all jerky is created equal. Fortunately, many health-conscious brands now offer minimally processed jerkies (think: beef, pork, and turkey) that are free of nitrates and added sugars, and low in sodium, Adler says. She recommends opting for jerkies that contain less than 400 milligrams of sodium per serving. You’ll typically find them at your local health food store. Jerky provides between 10 and 12 grams of protein per ounce, Adler says. So it’s hard to beat in terms of convenience. Plus, this chewy snack stays fresh for months when packed properly. The classic snack that kids love to pull and peel is also one of the best for adults. One string cheese packs about 7 grams of protein and 20 percent of your daily recommended intake of calcium. That’s important since calcium is one of the most common nutrients older adults aren’t getting enough of. You can enjoy a plain string cheese on the go, or to hit your protein goals even quicker, Spano recommends wrapping it in two slices of deli turkey and setting the combo with toothpicks. You’ll add extra flavor along with 10 more grams of filling protein. There’s so much more to chickpeas than hummus, and one of the tastiest ways to enjoy these protein-packed beans is also the simplest. What to do: Toss 1 cup of chickpeas (12 grams of protein) with 1 tablespoon of olive oil, a pinch of salt, and cayenne pepper to taste. Roast for 20 to 30 minutes. You’ll have a crunchy snack you can take with you to pop a handful whenever you feel hunger coming on. A single serving of this tangy goodness contains a whopping 23 grams of protein. But what truly sets it apart from other high-protein snacks are the probiotics, Spano says. Also called “good bacteria,” probiotics help improve digestion and immune health. And according to emerging research, they may promote a healthy weight. To ensure your supermarket buy is rich in probiotics, look for a brand with “live and active cultures” on the label. You can buy your yogurt in single-serve sizes to make snacking simple. Or buy it in larger quantities, and then divvy it up into your own single-serve airtight containers. While getting your protein from whole food sources is ideal, an occasional dip into the protein powder canister is an incredibly convenient way to hit your daily protein goals. You can add one scoop to a smoothie, glass of milk, or even to a bottle of water. She recommends whey protein as a first choice. It contains an ideal array of amino acids, which is one reason why a 2015 Journal of Food Science review found it to be the most effective form of protein powder for promoting muscle growth and health. Other solid options include casein (a milk-based protein that contains less lactose), and soy and pea protein for vegans.